When financial institutions and payment intermediaries shut down accounts or inhibit transactions, it can have serious ramifications for free expression online. Websites, whether they accept online donations, sell goods online, or simply have a bank account, rely on their financial institutions to ensure they can continue to operate. We’ve seen examples of pressure being exerted on a website’s wallet to try to shut down lawful speech. In 2010, the whistleblower website WikiLeaks suffered an extra-legal financial blockade spurred on by unofficial government pressure, though they had not been charged with any crime in the United States. 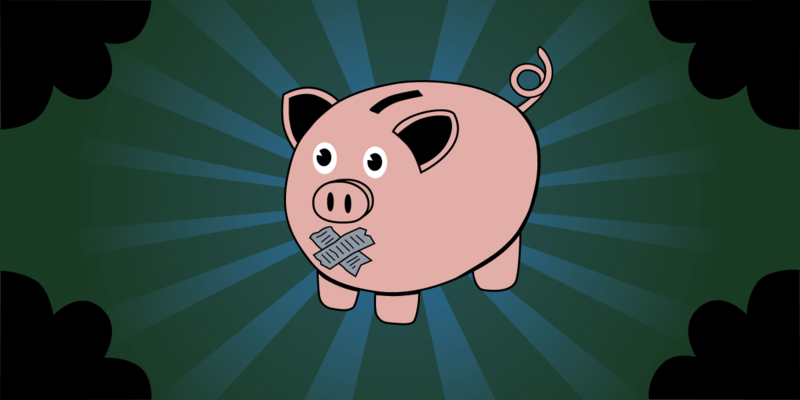 While they are among the most famous examples, there are numerous other websites that have seen their ability to receive payments and have basic banking services shut down as a way to silence them, including online booksellers, story archives, alternative social networks and others. The actions of a small number of payment intermediaries— like payment processors, banks, and credit card companies like Visa and Mastercard—can heavily influence what kind of speech can exist online. Yet these institutions are ill-suited to consider and balance the consequences their decisions may have. Business incentives that may drive these institutions to shutter or limit accounts don’t align with the concerns of a society trying to promote diverse perspectives in an online world. EFF is tracking these and related issues, and is particularly interested in establishing best practices for payment intermediaries around speech, exploring technologies to route around financial censorship, and tracking how and when pressure, especially government pressure, contributes to the decision of a financial intermediary to censor expression.